IWASSA Co.: Site "mazwai" allows users to download free videos online. 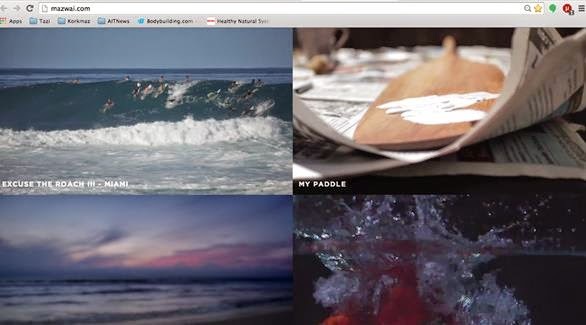 Site "mazwai" allows users to download free videos online. Many are high-resolution video clips on the Internet, but most of these sections impose property rights by prohibiting publication or re-used without reference to the owner of the section. This is a big problem in the case of the use of these sections in the projects on the Internet or applications on smart devices. So users can take advantage of the site mazwai which provides videos with high accuracy, but is subject to license "Creative Commons", which allows the use of sections freely with the possibility of keeping these sections on the device. After entering the site to show videos directly, and once you stand with the mouse pointer over any section is run on the same page. To download any clip or display can be even more pressure on the section and then click on the operating buttons or download.